Welcome to ETC Fire which offers a complete service for customers who want to buy Fire extinguishers in the Haywards Heath areas. ETC (Extinguisher Trading Company) is a Fire Extinguisher Supply, Servicing and Fire Extinguisher Training company with fire extinguisher experts operating around Haywards Heath in Sussex. We offer a comprehensive Fire Protection Service, and Fire Extinguisher Supplies for Business Owners and Domestic Clients in Haywards Heath. Please call direct or use our Contact Page for a call back. All types of fire extinguishers supplied or if you want some advice about buying fire extinguishers, Haywards Heath clients can rely on ETC Fire for quick and friendly service at the right price. 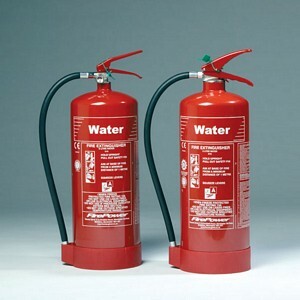 We aim to beat any quotation for fire extinguishers in the Haywards Heath area. For all your needs contact us for comprehensive service, servicing, commissioning and installation of fire extinguishers Haywards Heath and surrounding areas in Sussex. When it comes to fire extinguishers for your domestic or commercial premises in Haywards Heath, call the professionals in the supply and servicing of fire extinguishers, hose reels and all kinds of fire safety equipment. If you need advice on fire safety, a survey will ensure your compliance with legislation and provision of the right equipment. We can also provide a regular maintenance service for your company's fire extinguishers. If you need spare parts urgently we can also supply and fit these for your fire extinguishers in the Haywards Heath area. When it comes to Fire Extinguisher Training ETC Fire provides all the advice and help you need to comply with health and safety legislation. We also train your staff which will give them confidence to act in the case of a fire. Our engineers can provide fire extinguisher training if required for your team at times to suit. This includes a live demonstration if you have appropriate facilities. Book a FREE FIRE EXTINGUISHER SURVEY in HAYWARDS HEATH with us today! Please call us if you have any questions or would like a free survey of your premises to assess your fire safety requirements. Always competitive prices and a friendly service - call our fire extinguisher engineers for a visit in Haywards Heath. Don't Delay! If you have any queries about fire extinguisher legislation or what may be required for your premises, please give us a call for advice. Our engineers are waiting to help you.